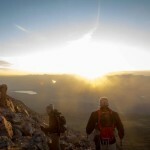 About a year ago, Thad Burkamper signed up for a Spartan Race. Admittedly, he was out of shape and was starting from step one with this whole running thing. Here’s the important part: he embraced the “It’s a long way to the top…if you wanna rock n roll” mindset (or the IALWTTTIYWRNR mindset…for “short”) and consistently improved little by little as the year went by. As running became easier, he transformed his garage/back yard into a homemade Spartan Race obstacle. Now there are soft balls hanging from ropes, giant tires, Atlas stones and humongous logs. Basically, he went full Spartan Racer. 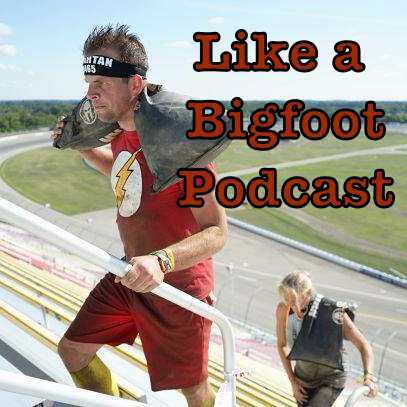 I’m excited to share this podcast today because Thad hits on quite a few topics: what inspired him to kickstart his physicality, how he overcame a major health related setback halfway through his training, how he used work and home-life as “added workouts” and, of course, his experience racing the Spartan Super in Michigan. I’m proud to say that now he’s completely obsessed and is taking on the Spartan Trifecta next year (hopefully finishing out here with me in Colorado!!). More importantly, Thad is spreading goodness by inspiring his wife to step up to the plate. After watching Thad race, she is now spending her afternoons flipping big ole tires and rope climbing up trees. 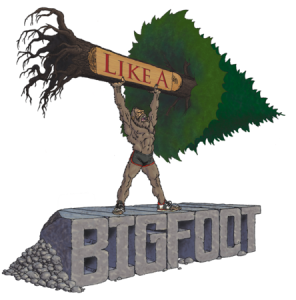 What’s more “Like a Bigfoot” than that!! Also for the first time ever, Thad recorded a song specifically for the show! It’s hilarious and is extremely relatable by anyone who has been a beginner runner. I put it right after the intro so be sure to check it out! Thanks Thad! I’m excited for our race next summer! Keeping in touch with you through your training has really inspired me to stay on track over the last year. Keep spreading goodness!